THE brain of Bernard Tomic overcame the brawn of America's Sam Querrey as Australia's teenage tennis genius booked an Australian Open third round berth for the second straight year. It was not quite of the magnitude of the 19-year-old's first-round fightback from two sets down against Spain's Fernando Verdasco. But Tomic still needed plenty of nerve to withstand power-serving Querrey's early heroics and triumph 3-6 6-3 7-6 (7-3) 6-3. 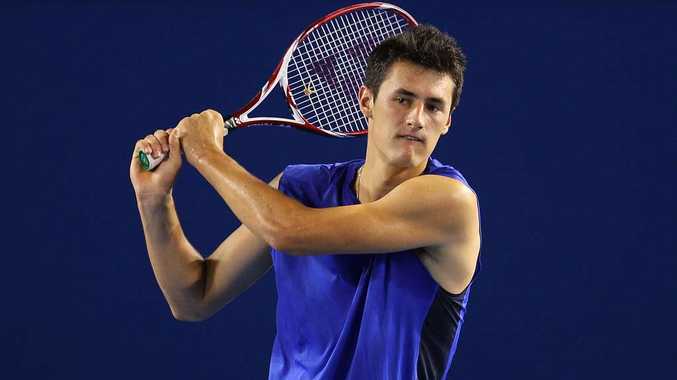 Tomic last year fell to then world No.1 Rafael Nadal in the third round. This time he will take on Ukrainian Alexandr Dolgopolov, who had to survive a five-set thriller against Tobias Kamke on Wednesday, his second five-setter of the tournament.